Apples , Beetroots and Carrots and your miracle drink is ready to make your skin glow , free it of pimples and blemishes and slow down ageing of the skin. 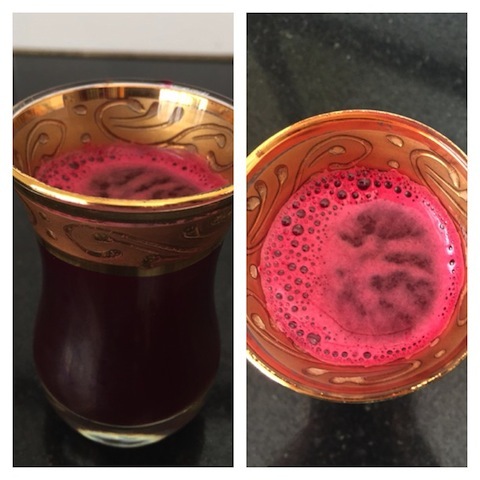 Researchers claim that this Miracle Drink is a gift of nature. It is ! Enough has been said and written on the multitudinous benefits of this magical ABC drink . But here I am , in flesh and blood who has gained from the miracle of it all. And I write this , even as I sip on my glass of the potion ! While it has an array of health benefits to its credit , I am touching upon what wonders it did to my skin ! Let me admit , I have dull skin and have spent fortunes on lotions and creams that promised brightening of the skin. Burnt holes in my pockets ! But my skin continued to appear dull , except for those few hours of medicated/cosmetic applications. And then came the saviour. My son , who trains for physical fitness with expert trainer Alkhas Joseph came home one day with the recipe of this ABC drink. That was the first time I made it and went haywire with proportions – got enough drink for 2 instead of 1 ! Unsure of its taste , took a sip hesitantly , it tasted alright. Had a glass of it every time I blended the juice for sonny boy. And the compliments started coming. Compliments of a bright , glowing skin. One went ahead and asked me if I was wearing a skin brightener. I said , no , I was not wearing , but had ingested one ! But the ace comment came when my dermatologist asked me if I was wearing makeup !! Voila ! Eyes and Beauty are wedded forever. Eyes are what strike first when we meet someone , not the nose , not the mouth. Let this drink work its magic on your eyes too. It can soothe dry eyes from those long hours of computer use , eliminate redness and tiredness. A few facts for those not familiar : The Miracle drink was introduced by the Chinese. A simple to make drink. 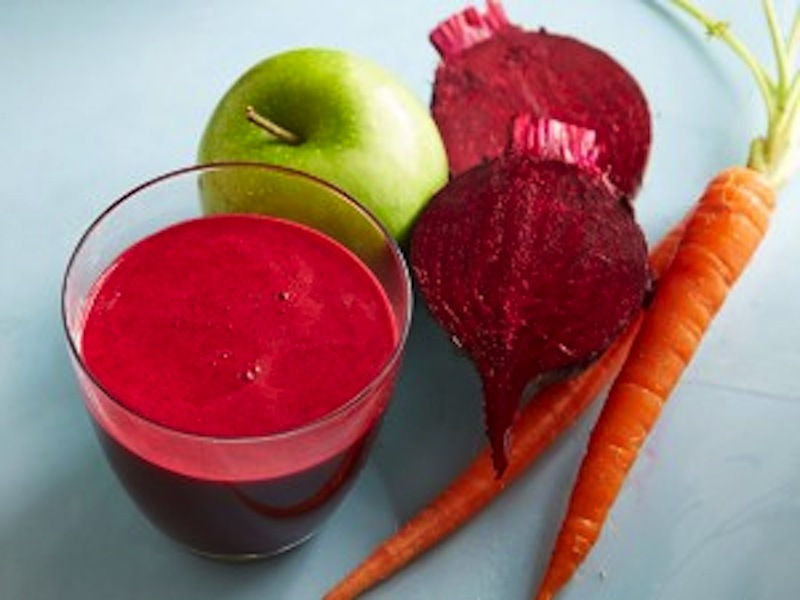 All it takes is a juicer or blender , apples , carrots and beetroots , in equal proportions for best results. Add lime if you wish. Keep the skins intact while juicing and consume immediately , without storing. The power of antioxidants and nutrients packed in two vegetables and one fruit. Apples – Vitamins A , B1 , B2 , B6 , C , E , K , Folate , Niacin , Zinc , Copper , Magnesium , Potassium , Phosphorus , Iron , Calcium , Sodium and Manganese along with the dietary fibres. Carrots – Vitamins A , B1 , B2 , B3 , B6 , C , E , K , Folate , Niacin and Pantothenic Acid along with minerals like Potassium , Calcium , Phosphorus , magnesium and Selenium. And of course the most important beta-carotene. Beetroots – Vitamins A , C , B-complex , Potassium , Iron , Manganese and Copper. Your heart’s best friend ! Sip on it once a day , twice for even better results. Experts suggest having it on an empty stomach , but works well otherwise too. Those hooked on to this drink , will you agree with me ? Others , want to give it a shot ? Do share the marvellous drink benefits to your folks , spread beauty and happiness ! Is the beetroot boiled or raw ? And how many carrots do you use to prepare one glass ? The beetroot is used raw. So are carrots and apples. Half a medium carrot, quarter of an apple and quarter of a medium beetroot should give you one glass. Try to vary the proportions and you will get the hang of it after one or two trials. I say this because, most often size of the fruits and vegetables vary from region to region and i have noticed that despite following proportions from recipes, the end product tastes quite different from what we expect.